I've been playing Persona 4 fairly OK on the 0.9.8 version of the PCSX2 emulator but sometimes the FPS seems to dip down below 30 and I encounter slowdown. I've tried FFX as well and the cinematics work great and such but there's slowdown here and there as well. I do suspect I could use some tweaking to improve this and I don't expect it to run flawless, as close as possible will do really, seeing as both are turn-based games slow down won't affect gameplay all to much. The machine is running on 8 gigs of ram with W7 enterprise x64 edition if it's of any help / need. Any help is well appreciated! 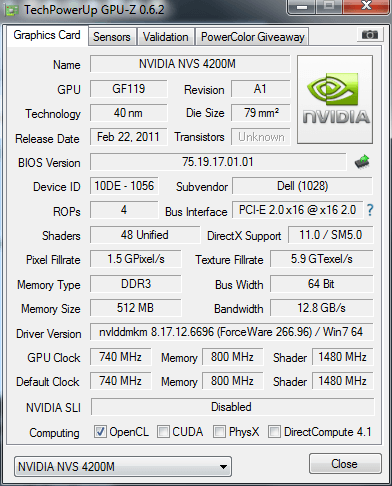 **i not sure if that nvidia card is holded up to the limit. I'm running it in every max-performance setting possible in terms of "power settings" and always with charger attached, the battery usage is quite intense with the emulator running. I had to do some tweaking with the GS settings of PCSX2 from start because I had some glitchy graphics and terrible FPS, what I'm after is to see if there's any way to tweak the settings even better than I've done or if what I've set now is the best I can hope for on this machine. Also, is it still true that in terms of intel vs amd, intel cpu's are still preferred in terms of emulation? I'll definately give the latest SVN a try as well! thanks. It's not a point of preferred really, it's that intel's processors always have greater IPC than their AMD counterparts. Was thinking preferred as in better, but I get your point. Anyways if there's any other room for tweaking with settings other than already posted feel free to let me know, thanks for the info so far. You might want to check your processes when fps drop happens. If there's anything that overloads your CPU(well exept the emulator itself) just delete the process and ofcourse if it not belongs to Windows. Then switch back to emulator to check current fps. Shutting down anything running in the background such as browsers etc does improve it slightly, but since the lag is usualy greater the more objects there are on screen I simply suspect either the machine being not powerful enough or simply badly configured settings in the emulators GS by me. In some games, such as Persona 4, having EE and VU speedhacks enabled can cause massive slowdown in battle scenes. So your first step should be to put both sliders to the left, but leave the other hacks enabled. Especially MTVU. You could also try running in Direct X 10/11 mode in Gsdx, and turning on "use native resolution". Current time: 04-25-2019, 10:18 PM Powered By MyBB, © 2002-2019 MyBB Group.